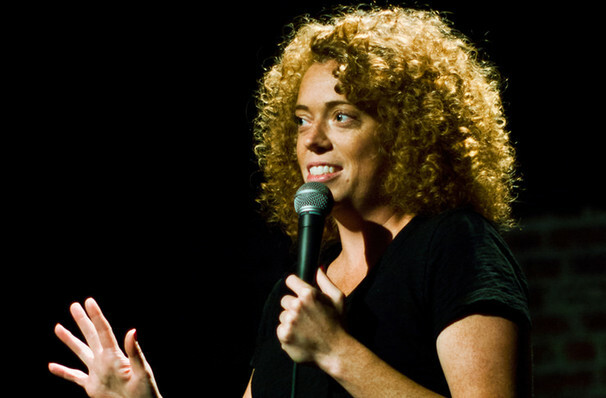 No stranger to courting controversy, Michelle Wolf has proved time and time again that she is the most exciting new voice in comedy. From the 2017 release of the critically acclaimed HBO stand up debut/comedy special Nice Lady to her political feud-fueling set at the 2018 White House Correspondents Dinner, Wolf has risen up the ranks thanks to her hilariously insightful views on feminism, dating, social and political issues amongst other topics. Don't miss this tour de force as she brings you her hilarious and deftly intelligent routine to your town! Born in Hershey, Pennsylvania Wolf began her career as an account manager at JPMorgan Chase. Growing tired of the banking world Wolf began taking improv classes, before moving onto stand-up. Following her first television appearance in 2014 on Late Night with Seth Myers, Wolf became a TV and web favorite. Subsequent turns on The Daily Show with Trevor Noah, appearances on hit British comedy shows and the launch of her own web-series Now Hiring have only bolstered Wolf's continuously growing loyal fanbase. Wolf was thrown into the limelight when she was a featured guest on the 2018 White House Correspondents Dinner. Her outrageous routine, which mocked the Trump administration and the White House Press Secretary, gained her both acclaim and criticism from the public and fellow comedians. Sound good to you? 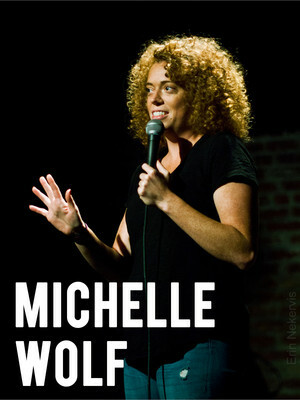 Share this page on social media and let your friends know about Michelle Wolf at Victoria Theater. Please note: The term Victoria Theater and/or Michelle Wolf as well as all associated graphics, logos, and/or other trademarks, tradenames or copyrights are the property of the Victoria Theater and/or Michelle Wolf and are used herein for factual descriptive purposes only. We are in no way associated with or authorized by the Victoria Theater and/or Michelle Wolf and neither that entity nor any of its affiliates have licensed or endorsed us to sell tickets, goods and or services in conjunction with their events.